We are so excited to offer Mobile Toddler Art Play Groups throughout Los Angeles. Gather a minimum of six great friends with children ages walking to 3 ish and create a magical experience right in your backyard. Each week one of our fantastic team members will come to your home for a five week session of sensory exploration and art inspired fun. Email info@mericherry.com for all inquiries. Thank you for interest in hosting play group. The first step in hosting a home play group is to email info@mericherry.com and inquire about availability. We offer afternoon and morning classes based on availability. Once you have solidified a date and time with the studio, hosts are responsible for gathering a minimum of six students per session to proceed with a class. Hosting requires clear and open communication with the studio and class teacher via email regarding potential drop ins, cancellations, adding new students, weather issues and scheduling. Toddler Play Group is a sensory and art based experience for children walking to three years old. Parents/Care takers are responsible for their child at all times. Play group is a time for parents/caretakers to connect with their child through the experiences set up in class. Play group is not an instructed class. The teachers role is to set up invitations to play, create a safe and nurturing environment for the kids and help build community for the group. Playgroup is an experience for the child and parent/care taker to explore new and engaging activities together at the pace of each individual child. 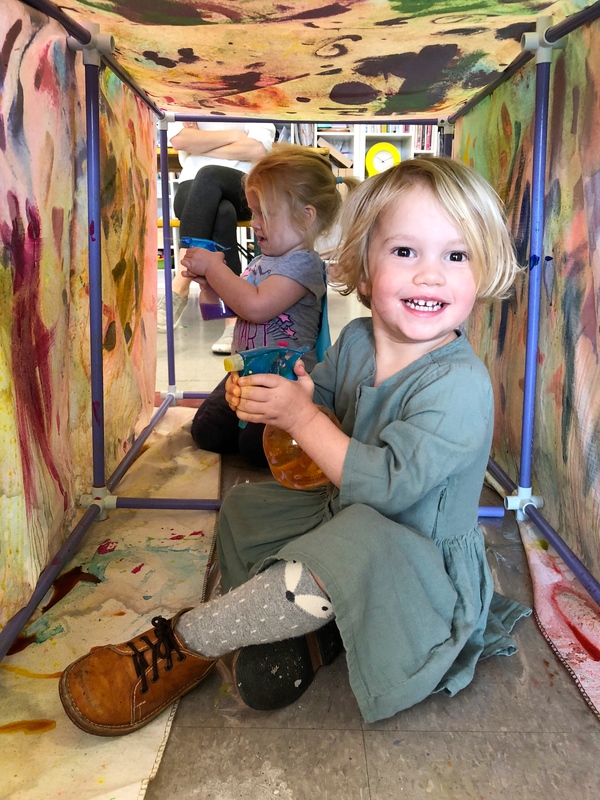 Play group activities include, but are not limited to, exploring with slime, doughs, clay, mixed media collage, painting, sifting, transferring and more. Play group runs in five week sessions. It requires sign up and payment prior to each session. Drop in classes are available based on a minimum of 24 hour notice and availability. We do not permit drop ins without prior notification and signed paperwork. No child may participate in play group without filling out the appropriate paperwork and making payment. Home based play groups have a minimum of 6 students and a maximum of 12 students. Payment is for each individual child and may not be transferred to another child.